TODOS will have a presence at both NCSM (table) and NCTM (Booth #1224) this April. There will also be a table to join or renew at the TODOS Salsa Party on Thursday. You are encouraged to volunteer to staff the booth. Inform your colleagues and friends about TODOS and encourage them to join. You are TODOS’ best ambassadors when you communicate why you joined TODOS. Sign up to help by taking a shift at the booth! 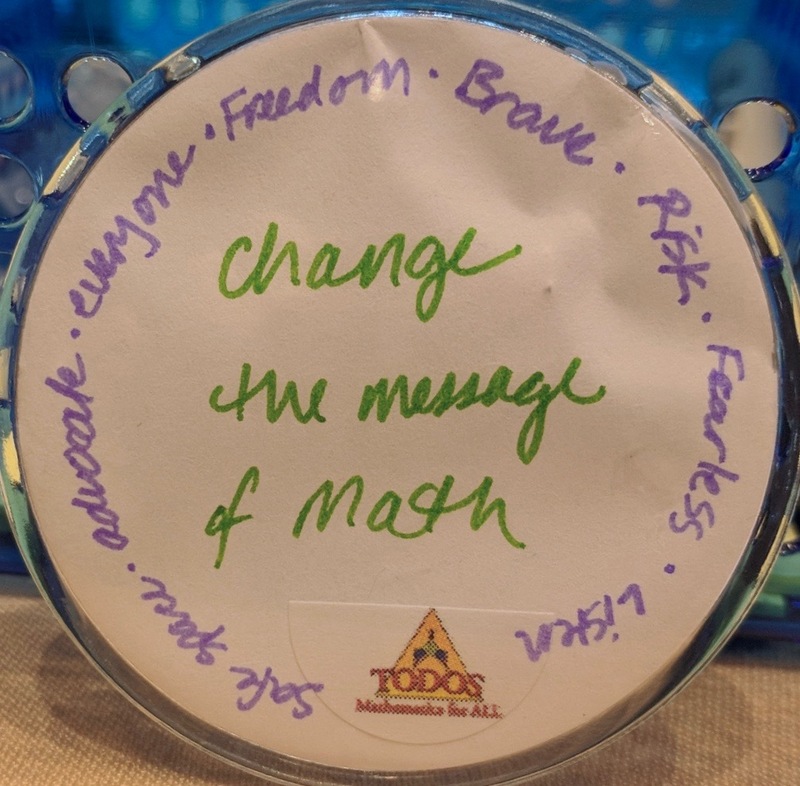 TODOS has sessions in the Equity Strand at the 2019 NCTM Annual Meeting & Exposition in San Diego this April. See the TODOS Strand Sessions for detailed information. In addition to the TODOS Strand, many TODOS members are presenting in San Diego. Go to TODOS Sessions and enter the information for your session (time, conference, title, name, and location). If you are attending one of the conferences, view the offerings in TODOS Sessions by TODOS members. TODOS looks forward to connecting with ALL who are attending.